You are warmly invited to the Family Service which starts at 11 am (not 10 am!) 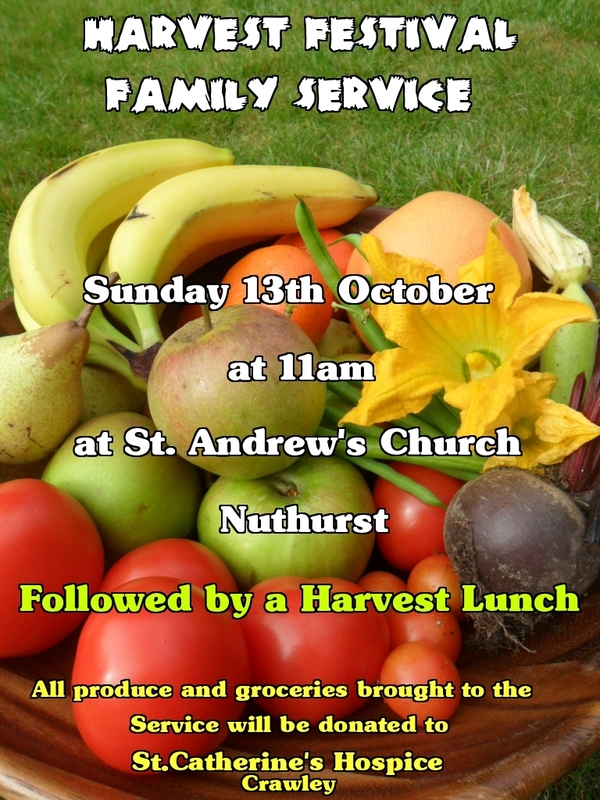 on Sunday 13th October at St Andrew’s Church. Our cash collection will go to help support the church mission in West Africa. You are also encouraged and invited to bring gifts of produce to the service, and these will be passed onto our friends at St Catherine’s Hospice, as usual. We expect a full church so please arrive in good time.